CHICAGO – After a strong year of launching dozens of successful micromobility share programs across the country, VeoRide is announcing the expansion of its portfolio of bikes to include the best e-scooter made for commercial/shared use and provide more options for a variety of customers. 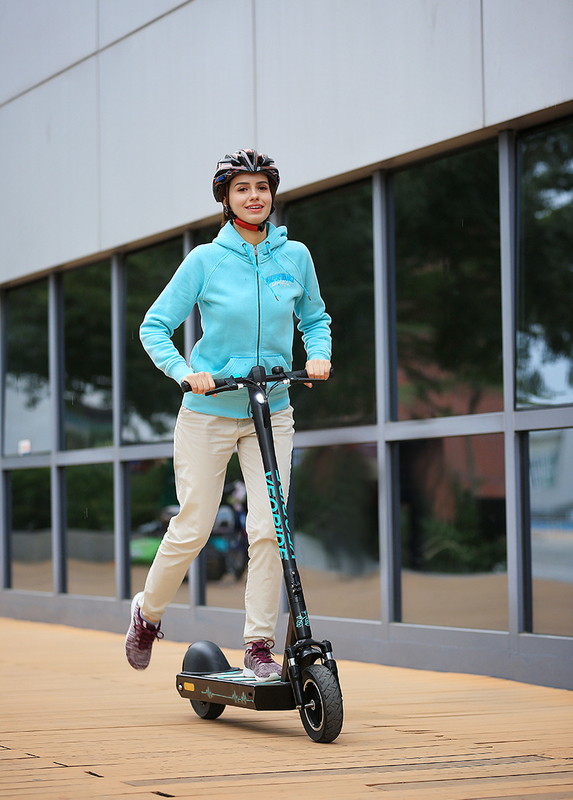 VeoRide’s scooter is 100 percent designed and engineered by the company for superior durability and safety – with a key differentiator, the swappable battery. All scooter operators today must take e-scooters off-site for charging, but VeoRide-employed technicians can simply swap the battery pack on site, enabling its scooters to be available 24/7 and eliminating fire risks by unsupervised “crowd charging” in personal apartments and dorms. VeoRide’s dedicated Research & Development team has designed the scooters from the ground up for commercial/shared use, rather than sourcing the same Ninebot or Segway scooters that Lime, Bird and others use. The company’s proprietary manufacturing ensures VeoRide controls the whole process from hardware engineering and final assembly to vehicle testing and quality assurance – an approach that results in a scooter that lasts four to eight times longer than other scooters used today, It also gives VeoRide 100 percent control of product integrity plus the ability to customize and brand the scooter to meet the needs of the cities and universities it serves. VeoRide is the only micromobility company offering this level of customization to foster school pride and community spirit. 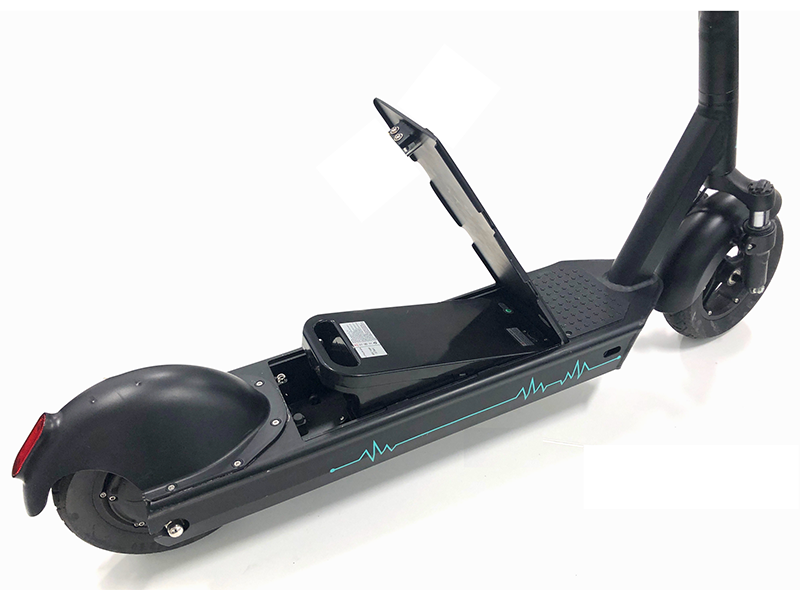 Each VeoRide scooter features 10-inch wheels with a proprietary, shock-absorbent tire and comes equipped with a built-in sensor to detect road conditions and automatically engage the motor and braking system to slow the vehicle and protect the rider. 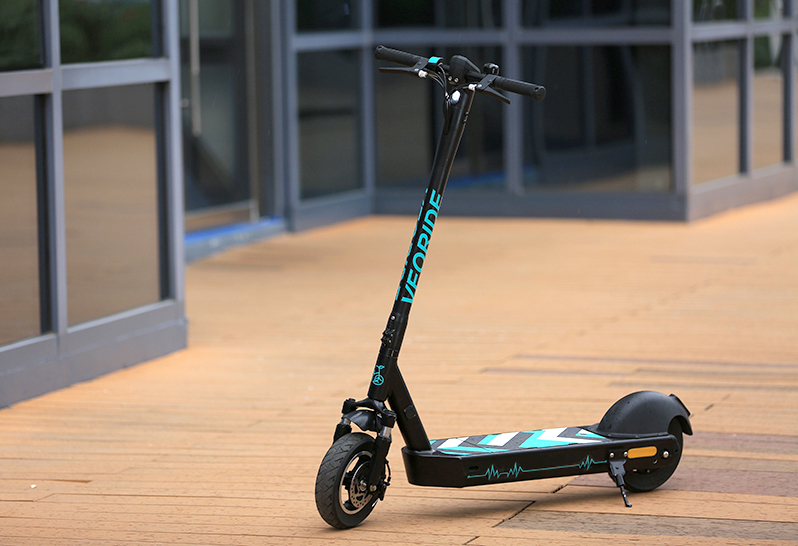 The swappable battery located in the deck of the scooter creates a lower center of gravity, the motor positioned at the rear provides greater stability and keeps the vehicle from lurching forward, while the mountain-bike type suspension ensures a smooth ride. The speedometer lets riders know how fast they are traveling, and VeoRide can program and adjust scooter speed to meet a community’s standards.